← Business Research: Which Source Should I Use? This passionate book is a letter from Ta-Nehisi Coates, a journalist and author who is African American, to his son. 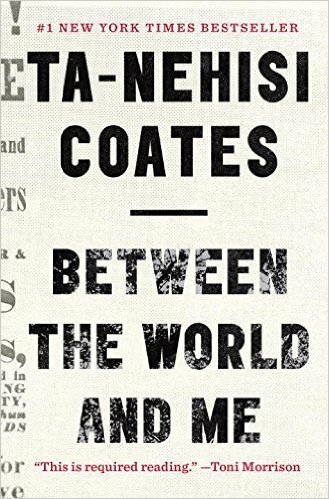 The book outlines Coates’ journey from his childhood in Baltimore, to Howard University, to his work at The Atlantic magazine and his experience being black and living within a black body. Coates writes about his understanding of American history–especially how slavery and the violence it visited upon black people continues to affect American culture and politics today. This short book has the potential to become a classic work about race and America’s past and present. This entry was posted in new stuff tuesdays and tagged new stuff, race, race relations, racism. Bookmark the permalink.